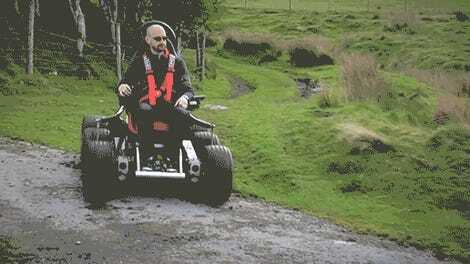 When the RoChair first appeared back in 2011, the wheelchair used an unorthodox center-mounted drive lever, operated with a rowing motion, to propel it forwards. Four years later the RoChair has been completely redesigned to look more traditional, until you see someone operating it. 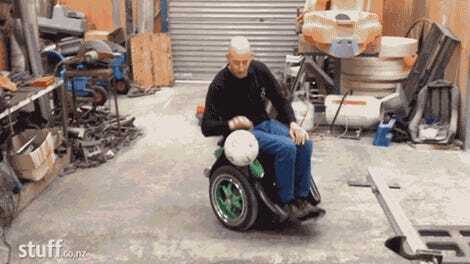 Most wheelchairs are propelled by manually rolling its wheels in the direction you want the chair to go. But the latest iteration of the RoChair has the user instead rolling them backwards, using a pulling motion instead of pushing on the wheels’ rims, to propel it forward. So why the confusing approach? 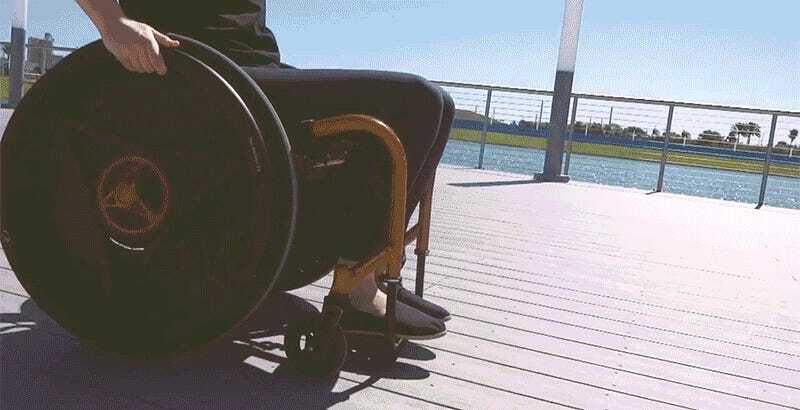 By pulling on a wheelchair’s wheels’ rims instead of pushing, the rider employs a more natural rowing motion which takes advantage of beefier muscles in their shoulders and upper back. As a result, the creators of the RoChair claims it takes somewhere around 25 percent less effort to propel their wheelchair forward, which in turn reduces the risk of strain and injury. The improved design of the RoChair also means that its special wheels, which use a clever planetary gear system in the hub to translate pulling motions into forward momentum, can be retrofitted to almost any existing wheelchair. But at $2,100, it’s a pricey upgrade if you can’t get your medical insurance to cover the cost.